Kauna is the local name for a reed or rush which is cultivated in the wetlands. 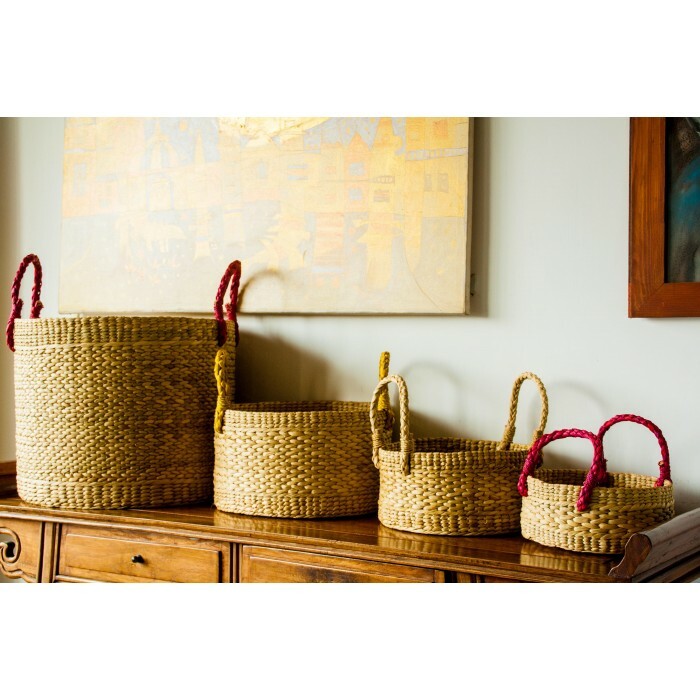 It has a cylindrical, soft and spongy stem which is woven into mats,cushions and mattresses .These sturdy baskets are made of kauna grass. Versatile and suits for all purposes and occasions. Easy maintenance. Can be washed and sun dried. 2nd basket - 11" height 8" diameter. 3rd basket - 6" diameter 8" height. 4th basket - 6" diameter 6" height.